Commercially available airborne LIDAR (LIght Detection And Ranging) systems have been deployed for more than a decade, and the technology has been widely accepted as a fast and efficient means of capturing topographic information. The accuracy of a final 3D LIDAR “point cloud” is directly affected by the accuracy of the underlying positioning technology — typically a GPS/inertial navigation system — used to georeference the LIDAR measurements. For airborne systems, obtaining the highest accuracy is primarily accomplished by paying close attention to maintaining the integrity of the GPS solution, which is collected in a fairly benign environment (that is, minimal signal shading and loss of lock, low dynamics). 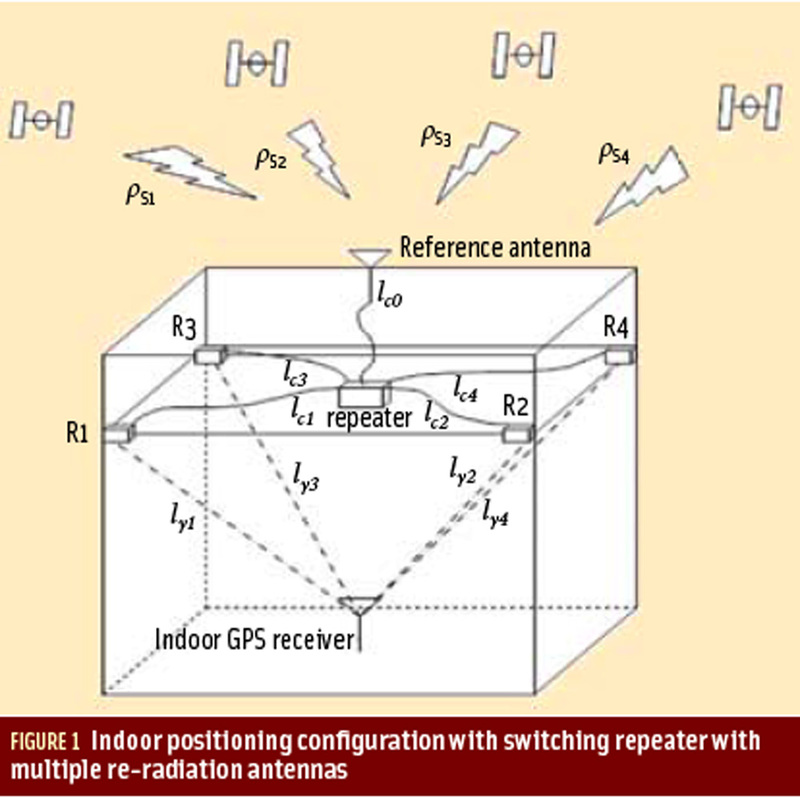 Consequently, a reliable GPS solution can normally be obtained by preplanning missions during good times of optimal satellite geometry, maintaining benign flight characteristics (for example, no steep banks of aircraft) and short baselines, and not flying during periods of high ionospheric activity. In the kinematic terrestrial case, however, obtaining an accurate and reliable trajectory for the ground-based platform is a much more difficult and challenging task than that of an airborne platform. These difficulties arise primarily from increased multipath and frequent GPS signal outages caused by obstructions such as buildings, bridges, terrain, and dense vegetation. LIDAR, whether airborne or groundbased, works by measuring the time-offlight for a laser pulse to strike a point on terrain, structures, or other manmade objects and return. A laser scanning system generates and receives the reflected pulse. Typically, an integrated GPS receiver determines the aircraft or vehicle position and the precise time of the pulse. An integrated inertial navigation system provides data on pitch, roll, and heading. Using the speed of light and elapsed time for the pulse return, a LIDAR system determines the distance between the laser scanner and the object reflecting the pulse. Given a precise position and attitude, the system then calculates the absolute position of the point on the scanned surface. Typical positioning accuracies of scanned objects for a terrestrial system are on the order of a few centimeters. Careful mission planning can mitigate some of the problems associated with terrestrial LIDAR applications, for instance, by traveling the optimum route and by establishing locations for zero velocity updates of the inertial measurement unit (IMU). Given the dynamic and fast-changing environment with regard to GPS positioning, a much more difficult challenge often arises in the need to ensure the reliability and integrity of the final post-processed terrestrial trajectory. Our company has developed a novel kinematic terrestrial-based laser scanning system, called TITAN (for Tactical Infrastructure and Terrain Acquisition Navigator), that can be deployed on a passenger vehicle or small watercraft. LIDAR, digital imagery, and digital video are collected from the survey platform while it is moving at speeds up to 100 kilometers per hour. The system is georeferenced using a high accuracy GPS/INS system. The unit’s laser scanner assembly acquires 360 degrees of coverage in the LIDAR point cloud with a single vehicle pass. To our surprise, Terrapoint’s biggest initial customers have been military units. They are very interested in using data from a system like TITAN in order to collect rapid and accurate city models to employ in urban warfare. This type of data is also seen as a possible method (some day) to perform change detection. For example, on convoy routes it may be possible to identify new items along the roadway that may contain IEDs (improvised explosive devices). The other major markets for the system are for transportation engineering, although this one has proven difficult to crack because of the high accuracy requirements involved (typically less than 1 inch vertical or less than 2.5 centimeters vertical). Urban modeling represents another prospectively large application market for LIDAR systems. This article will discuss the design, development, implementation, and performance evaluation of the TITAN system.